Why Node.js? We already have Java, PHP, Ruby. What's this i/o blocking stuff I hear about Node.js? Create a simple "hello world" app without using frameworks. Let’s say you’re considering learning Node.js but know one primary requirement is that existing DB2 tables and RPG business logic must be easily accessible from Node.js. Problem solved, because that’s where IBM's Node.js DB2 for i driver and XMLSERVICE fits in. The Node.js DB2 for i Connector was provided by IBM and provides capabilities to interact with existing DB2 tables. XMLSERVICE is a single library of open source RPG code that enables XML scripting calls of IBM i resources using most any language available on your platform. In this session we will walk through the various features and ways to communicate with existing DB2 tables and RPG programs directly from a Node.js program that is running on the same IBM i! We will also be walking through how to do iterative development using the Node.js REPL capabilities (programming in a real-time response environment) - a great tool and approach for learning how to code in Node.js. Node.js is a hot topic in IBM i circles because of its recent port. Doing a "Hello World" app in Node.js is very simple, but what about developing something more substantial with full model-view-controller capabilities? This session aims to take you beyond your first pass at Node.js and show how to use one of the most popular Node.js web frameworks, Express.js. Git is a free and open source distributed version control system designed to handle everything from small to very large projects with speed and efficiency. Git is easy to learn and has a tiny footprint with lightning fast performance. It outclasses SCM tools like Subversion, CVS, Perforce, and ClearCase with its feature set. It is arguably the most popular way to manage source code versions industry wide. You can create branches which have many purposes with one being you can eliminate the need to make backup copies of source members before making your changes. We often make backups so we can see how it originally was. Branches also make it easy to quickly test something and throw it away if it didn't work out without affecting the primary code base. Here's the kicker… did you know you can use Git on IBM i? Did you know you can use it for all your source including RPG? Attend this session for an introduction to Git, install instructions, how it works, basic features, and how it can be used in your environment. Aaron lives with his wife and five children in Southern Minnesota. He enjoys the vast amounts of laughter having a young family brings, along with camping and music. He believes there's no greater purpose than to give of our life and time to help others. IBM has made some exciting new enhancements to the POWER family. POWER8 low-end I/O enhancements will be coming. Also, there will be new and additional functionality for both IBM 7.1 and 7.2 Steve Fier will review these latest updates. PowerTech has audited thousands of IBM i servers over the past 12 years, gaining extensive, real-world insight into the deployment state of IBM i security controls. Robin Tatam, analyst and author of the study for the past 6 years presents his personal insight into the shocking - and often scary - reality behind IBM i security. The IBM i operating system is lauded as one of the most secure available. But, as previously discussed, reaching this state requires many changes to system settings. Its time to take a critical step toward protecting your corporate data assets - regardless of regulatory compliance. How to do event auditing for free? What are “black hole” commands? What the heck is public versus private authority? How do users accomplish scary things? Security and regulatory compliance, although not the same thing, are in the forefront of virtually every CIO's mind. Make sure that you are adequately prepared when the bad guys come knocking! Robin joined HelpSystems' PowerTech division in 2009 extending an AS/400 and IBM i consulting career that extends more than a quarter century. He has consulted with domestic and international clients on security and compliance issues. For most IBM i shops, an ongoing initiative is to take advantage of the new offerings IBM has made to the IBM i hardware and software that has defined and set our platform apart from competitors. The process of converting your non data centric architecture to a data centric architecture can appear to be beyond the reach of many IT staffs. While the performance gains of modernizing can be easily quantified, the added benefit of flexibility often goes unheralded. Being able to provide faster response to constantly changing business requirements and ever increasing large data demands placed on our environments can be achieved without having to recompile your current programs. Adapting your database access and software development practices is as much a necessity as changing your business to constantly changing market requirements and security concerns we are now required to comply with. Spool file maintenance including use of iASPs, Joblog Servers, and disconnected spool file functions. 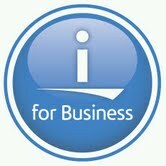 The session is based on IBM i 7.1 although at least 90% of the content is applicable to IBM i 6.1 or 5.4 as well. IBM i System Administrators or developers tasked with System Admin. This session is intermediate and expects attendees know a little about IBM i.
Larry has grown up with computers since his father became a CE in 1967. He obtained a bachelor's degree in Computer Science from Calvin College in 1982 and soon after began working on IBM midrange equipment with the S/34 and S/36. Larry began working on the As/400 at its introduction In 1988. After spending many years as a developer Larry began working on communications, networking, and systems management tasks. Years of working with SNA, SDLC, SNADS, APPC, APPN followed by Token Ring, Ethernet, and TCP/IP tought strong communications troublehooting skills. In addition to networking on the IBM side Larry learned the infrastructure components of the network including switches routers and firewalls, working chiefly with Cisco equipment. In 15 years as an IBM Business partner Larry worked with IBMs systems from design through implementation and migration. He has worked on the smallest and largest and everything in between. He has been involved in many Beta and other early release programs with IBM. Larry has held more than 30 IBM certifications on the AS/400, iSeries, System i and Power Systems, including IBM Certified Advanced Technical Expert and is a contributing author to many IBM Certification tests. Larry is a frequent and award winning speaker at users groups around North America covering Systems design and management, networking and connectivity, work management, PTF, and Hardware Management Console topics. He has been a long time volunteer and speaker with COMMON and has been awarded Gold, Silver and Bronze medals and also it's highest Honor the Distinguished Service Award. Get With The Program! It's Not Your Gramdma's RPG Anymore! Based on the community’s requirements IBM continues to evolve the language. This recent modernization iteration brings sweeping changes to the design, syntax and overall look and feel. We will examine the actual enhancements to each of the four changed specifications. Finally we will show a side-by-side comparison of programs written in both styles. Making the decision to abandon the green screen development environment takes a lot of patience. Once you make the leap though you’ll be very glad you did. This session examines our old comfort-zone friend STRDBG and shows the similarities, differences and productivity improvements in this new world of application debugging. How to run, debug and control programs using the debugging environment and perspective. Programmers who have little or no knowledge using the new RDi debugger. Introduction to Processing XML in RPG and SQL Too! XML has quickly become a standard method of encoding data. It can be used for full document transmittals or data provided via a web service. The extraction of this data into useable information is called parsing. RPG provides two different methods for parsing. This session goes step by step through the entire process of receiving an XML document to successfully parsing it to a database file. The XML-INTO and XML-SAX statements will be reviewed. The challenges and requirements of both statements will be discussed. At the end of this session, you will be able to identify which parsing method works best for your particular situation. Included with this session are program listings that you can take back and put to use immediately. Updates to this session include i7.1 TR6’s exciting SQL XML processing. See live examples of the XML parsers at work. Service programs have been around for some time. In fact, quite some time. Perhaps you’ve even bumped into one in your professional travels. You will certainly find them on the road to application modernization. This session focuses on what they are, how to implement them and making them a regularly used asset during your application development. Topics include service programs, program signatures and using binder language source. NHMUG is proud to be the recipient of a grant from the Maxava iFoundation, which was was established to provide assistance to not-for-profit organizations working to grow and strengthen the IBM i community. Click the logo above to visit their site. Want your event listed here? Contact Doug!